Panama's economy continues to lead in Latin America with a growth in gross domestic product (GDP) of 6.2 per cent in the first quarter of 2017, compared with the same quarter in 2016. The economy has been supported by the expanded Panama Canal, effectively counterbalancing the slow economic growth worldwide and the appreciating US dollar. Fitch Ratings affirmed Panama's rating as BBB (stable) in February 2017 and forecast a real GDP growth above 5 per cent for 2017 to 2018,2 one of the highest rates in the BBB category. The macroeconomic impact of the Panama Papers has been negligible. In fact, the strong and well-regulated local banking sector emerged from the storm largely unscathed, as laws being rolled out prior to the scandal came into effect. Because of these measures and similar regulatory efforts, as of June 2017 the OECD officially labelled Panama as 'largely compliant', as the country complies with two of OECD's three international transparency standards. This label effectively removes Panama from the blacklist of countries deemed 'tax havens'. The OECD's financial action group was due to release a report in August 2017 with the results of its multifaceted comprehensive evaluation of Panama's regulatory practices. Notwithstanding, increased compliance costs and perceived reputational risks are likely to lead some multinational companies in certain sectors, such as financial and insurance services, to take a renewed look at their in-country assets, creating a space for acquisition by more regional players. M&A activity in Panama was expected to remain robust throughout 2017, as industries such as logistics, energy and mining maintained a vibrant economic growth.3 Large infrastructure projects such as the US$800 million expansion of the Tocumen International Airport, the US$1.8 billion construction of the second line on the metropolitan transport system and the planned US$2.6 billion construction of a third line are also contributing factors in the increasing foreign direct investment in Panama. The aforementioned third metro line, a monorail system stretching 25km west of Panama City, was in the bidding process. It will cross the Canal over the 'Fourth Bridge', which will house the metro line and eight lanes to meet the needs of the rapidly growing cities west of the capital. The Fourth Bridge project, as it is commonly known, opened for bids in August 2017 and was expected to cost an estimated US$1.5 billion. The Panama Canal expansion project's recent inauguration is expected to increase M&A activity in the future. The Panama Canal, the backbone of the Panamanian economy, was predicted to contribute approximately US$1.6 billion to the national revenue in its first year of expanded operations, up from US$1.1 billion in 2016.4 The Canal's contribution to the national revenue is expected to triple in the next 10 years.5 Additionally, the 22.2 per cent increase in gross tonnage going through the Canal has provided new business for the logistics and maritime service industries. To contribute further to the growth of these industries, President Juan Carlos Varela has pledged US$3.2 billion for developing various civil works and infrastructure projects. To aid these goals, the President created the Logistics Industry Council, which seeks to provide renewed focus and attention to the sector. The energy sector in Panama will continue to experience government and foreign direct investment. Given Panama's long-running sustained economic growth, it is not surprising that energy demand in the country is expected to keep increasing at an annual rate of between 4.8 per cent and approximately 7.4 per cent. Investment in the clean energy sector has also experienced significant growth and, at the going rate, clean energy production is expected to surpass 10,000 megawatts in 2018.6 Under this scenario, the government has announced public works regarding new transmission lines. Transmission Line 3, with a current cost of US$400 million and in the final stages of construction, and Transmission Line 4, which will have an approximate cost of US$450 million, will cement the connection between heavy hydroelectric energy production in the west and the east's increasing demand.7 The latter project has attracted foreign investment, and further increasing demand is expected to generate further private direct investment in new projects in this fast-growing sector. The relevant Panamanian laws and regulations governing business combinations include the Corporations Law, the Limited Liability Company Law and the Commercial Code, which is supplemented by the Civil Code. As combinations generally cause taxable events, the Tax Code and its regulations (especially Executive Decree 18 of 1994, which establishes a special regime regarding share-for-share mergers) and Law No. 18 of 2006, which created a special capital gains regime, are also pertinent. In the case of publicly traded companies, Decree Law No. 1 of 1998 and its regulations (Securities Law) govern tender offers, proxy statements and rules of disclosure, among other matters. Business combinations in Panama are usually structured as share or asset purchases, tender offers or mergers, but other techniques can also be used. One example is the capitalisation of shares of two operating companies to a holding company incorporated for that purpose with joint participation in the holding company. In the case of publicly traded companies, combinations usually involve a two-step process that begins with a tender offer (either for shares, cash or a combination of both) followed by an actual merger. Corporate and takeover law can be divided into two kinds of transactions: mergers and share and asset purchases. 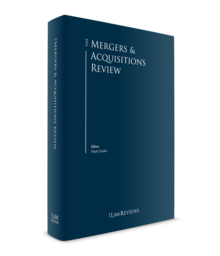 In the case of mergers, Panama law allows a company to be absorbed by another regardless of the place of incorporation of either firm (merger by absorption). It also allows two companies to merge, forming a new consolidated body. Once a merger becomes effective, the absorbed company ceases to exist as a legal entity, and the surviving company assumes all the assets, rights, licences, capital, liabilities and obligations of the absorbed company by universal succession. Unless the articles of incorporation state otherwise, a merger agreement must be executed by a majority of the directors of each company, and approved by the holders of a majority of issued and outstanding shares of each firm. The merger agreement must then be registered with the Registry of Companies in Panama to bring it into effect, unless a later effective date is defined in the merger agreement. Regarding share and asset purchases, unless the articles of incorporation state otherwise, the acquisition of a company generally requires approval from a majority of the directors of the acquiring company regardless of whether it is structured as a share or an asset purchase. On the other hand, the sale of a company, if it represents all or substantially all the assets of the seller, generally requires approval from both a majority of the directors and of the holders of all issued and outstanding shares with the voting rights in the event of selling a company. Foreign direct investment continues to be a principal driver of M&A activity, and in almost all the more recent M&A transactions in Panama, foreign and multinational corporations have targeted local companies. Political instability in nearby Latin American countries has also been a substantial driver for investment into Panama, as individuals and companies seek to diversify their country risk. Generally, there are no foreign ownership restrictions in Panama. Because of issues of national security and national interest concerns, however, ownership of local companies by foreign governments or nationals is restricted in certain industries, including, inter alia, aviation, radio and television, and retail trade. In the case of the retail services market, foreign participation is generally prohibited with very few exceptions. Most of the important sectors in the Panamanian economy have been subject to cross-border acquisitions, but M&A activity is expected to continue to be distributed across several industries, led most likely by the traditional financial services (including insurance) and energy sectors, followed by the food and retail industries (both wholesale and consumer sales). The aftermath of the Panama Papers and the controversy surrounding money laundering allegations involving a prominent retail trade group have led to stricter tax, regulatory, and anticorruption compliance legislation in the country. Consequently, consolidation among medium and small banks is still expected to pick up, spurred by reduced access to correspondent banks, which are limiting their services because of local regulatory burdens, and increased compliance standards imposed on foreign banks and the perceived reputational risk stemming from the publication of the Panama Papers. This is a current issue in the Panamanian financial services sector that may have further long-term implications. Given the aforementioned demand for energy in Panama and the region, the energy sector has been the object of recent important acquisitions and new market entrants, including the acquisition by CELSIA (part of the Colombian conglomerate Grupo Argos) of GDF Suez assets in Panama and Costa Rica for a reported US$830 million, and InterEnergy Holding's simultaneous acquisition and US$300 million project financing of the construction of Phase II and Phase III of the Penonomé wind power plant, the largest wind farm in Central America. Now operational, the plant produced 305,000MWh in the first quarter of 2017, representing 10 per cent of the country's total energy demand. Significant acquisitions and joint ventures are expected in the next few years in this sector as Panama continues to find and incentivise new sources of energy for its rising demand, while further regulating its existing non-renewable and renewable resources. Increased deal activity is expected following the now-complete Canal expansion in the logistics, transportation and distribution and maritime industries, which represent approximately 20 to 25 per cent of the country's GDP. To that end, the government acquired Transporte Masivo de Panamá, SA (Mi Bus), the concessionaire and operator of the mass transportation system in the metropolitan area of Panama City. The Panama Canal Authority is drawing up plans for a new port terminal in Corozal, which is near the Pacific entrance to the Canal and capable of accommodating Post-Panamax ships with docking facilities with an estimated depth of 60 feet, and the capacity to handle 5 million twenty-foot equivalent units in a 296-acre area. In recent years, M&A deals in Panama have had many drivers. Certain deals have been instigated by the need to consolidate in a very competitive environment, others have been undertaken to control costs and exploit synergies, and yet others have been fuelled by the global economy and the need to develop new international markets and expand market share. Some of the largest transactions in Central America have included a Panamanian target company, independent of whether it is an operating company or a holding company registered in Panama with operations in the region. Additionally, we are seeing a move from New York law or New York-run deals to Panama law or Panama-run deals for Latin America-based transactions that do not necessarily have a connection to Panama. M&A financing in Panama is usually provided by local and international banks, as there are no limitations on international lending. With the end of the financial crisis, deals have also been funded by private equity firms or through local and international securities issues. In a merger scenario, the surviving company assumes the labour relations and liabilities of the absorbed company. Similarly, in share acquisitions, the target company retains responsibility for labour relations and liabilities. Asset acquisitions, however, present a special case. If the sale comprises all or almost all the assets, causing business operations to be transferred, both the buyer of the assets – the new employer – and the seller are, for a period of one year following the acquisition, jointly and severally responsible for all labour liabilities that arise prior to the acquisition of the assets or business. Furthermore, employees retain all their rights and benefits, and no adverse changes can be made to their terms of employment. Thus, in many asset acquisitions, insofar as may be legally feasible, buyers require sellers to terminate all or certain labour relations as a precondition to closing a deal, in order to rehire some employees on more favourable terms. Labour unions and employees must be notified of the employer substitution even though they cannot prevent it from taking place. One of the main components of any sell-side deal structuring is taxation. The structure of an acquisition is usually influenced to a large extent by the need to make the transaction tax effective for the seller, without causing adverse tax consequences to the buyer. As Panama generally follows a territorial system of taxation, only Panama-source income (generally income and capital gains realised in connection with a trade, business or real estate transaction in Panama) is taxable. Thus, mergers or acquisitions of companies organised in Panama that do not carry out any trade or business or own assets within the country are generally not taxable. Mergers or acquisitions are generally structured as either share-for-share transactions or share-for-cash transactions, or a combination of both. Acquisitions can also be fashioned as a straight purchase of shares or a purchase of assets. A brief description of the tax treatment for each follows. Share-for-share mergers are tax-free transactions, provided that no cash is paid out (except up to 1 per cent of the value of the transaction for adjustments of fractional shares) and certain other accounting parameters are followed. In a share-for-share merger, the shareholders of the merged company keep a tax basis on the shares of the surviving company that they receive equal to their average pre-merger tax basis of the surrendered shares. Share-for-cash mergers, on the other hand, are not tax-free transactions. Gains realised by sellers in these transactions, which are deemed to be gains from Panama-sourced income, are subject to a 10 per cent capital gains tax. The capital gain is the difference between the selling price allocated to Panamanian sources and the tax basis of the shares owned by the selling shareholder. Furthermore, the law requires buyers to withhold 5 per cent of the total purchase price allocated to Panamanian sources (as an advance of the capital gains tax) and directly pay this amount to the tax authorities within 10 days of the transfer of the shares. It is important to note that a buyer, as well as the target company whose shares are being acquired, are jointly and severally liable with the buyer for the payment of the 5 per cent advance capital gains withholding. If the 10 per cent capital gains tax on the realised capital gain is less than the 5 per cent advance withholding, sellers can request a tax credit for the difference. This credit must be used in the same fiscal year as that in which the capital gain is realised. Alternatively, sellers can choose to treat the 5 per cent advance capital gains withholding as the final and definitive capital gains tax payable in connection with the sale of the shares. In practice, most sellers pay the 5 per cent purchase price capital gains withholding, as it is difficult to request and use the tax credit in the same year that the transaction took place. Share purchases are subject to a 10 per cent capital gains tax on Panama-sourced gains in the same manner that share-for-cash mergers are taxed, including the 5 per cent advance withholding obligation. The Department of Revenue of the Ministry of Economy and Finance has repeatedly taken the position that capital gains tax applies to the sale of the shares not only of Panamanian corporations, but also of any upstream company, regardless of its jurisdiction of incorporation, as long as this company, directly or through one or more subsidiaries, has Panama-sourced income. Consequently, gains derived from the direct or indirect transfer of shares of a legal entity that has obtained Panama-sourced income is subject to tax at a rate of 10 per cent. Following a tax reform (Decree Law 135 of 2012), if a transaction involves, indirectly, the transfer of shares of a Panamanian company with Panama-sourced income, the seller and buyer can now apply pre-established calculations to determine the capital gains tax due on the percentage of the transaction's purchase price that is attributable to the Panamanian assets. To pay the capital gains tax, the buyer and seller will need to file a joint sworn affidavit setting forth the total capital gains tax paid and the calculations used to arrive at the figure. In addition, the buyer, who is responsible for the payment, must obtain a temporary tax identification number in Panama, known as 8-NT, and report and pay the capital gains tax. This temporary registration has no additional tax implications or reporting requirements in Panama for the buyer. Asset purchases are generally taxable events in Panama. Gains realised on the sale or disposition of assets located in Panama are generally subject to a 10 per cent capital gains tax. In addition, the transfer of chattel property, such as inventory or equipment, is subject to a value added tax equal to 7 per cent, and the transfer of real estate is subject to a 2 per cent transfer tax. In addition, buyers of an ongoing business concern must be aware that they will become liable for past taxes of the business, even if they are buying the assets of the business and not shares of the company. Frequently, M&A transactions involve either a pre-closing dividend to exclude assets from the transaction or a post-closing dividend to distribute gains to shareholders. In this regard, as a general rule, corporations in Panama are subject to a 10 per cent dividend tax (20 per cent if the shares are issued to the bearer) on Panama-sourced income. Thus, income that is not Panama-sourced is generally not subject to dividend tax. However, following the recent tax reform, if the company paying the dividend engages in commercial or business activities in Panama that require the company to obtain a business licence, then in addition to paying the 10 per cent dividend tax on Panama-sourced income, it is also subject to a 5 per cent dividend tax on non-Panama sourced income. Goodwill is another frequent point of conflict between buyers and sellers. Buyers generally want to be able to claim a tax deduction for the amortisation of any goodwill paid in the acquisition. However, amortisation of goodwill is only deductible in Panama if the seller recognises it as income on its annual tax return. There is no mandatory merger control approval process in Panama; the process is entirely voluntary. That said, with the new antitrust and competition regime established by the Competition Law, economic concentrations created by the mergers of conglomerates within the Panamanian market have come under increasing, albeit still limited, scrutiny by regulators. The Competition Law prohibits economic concentrations whose effects may unreasonably restrict or harm free competition. An 'economic concentration' is defined as the merger, acquisition of control or any other act pursuant to which corporations, associations, shares, trusts, establishments or any other kind of assets are combined, and which occurs between suppliers or potential suppliers, customers or potential customers, and other competing or potentially competing economic agents. The law applies to any acts or practices that may unreasonably restrict or harm free competition, and whose effects take place in Panama, regardless of where those acts have been carried out or perfected. The Competition Law does not prohibit all economic concentrations, but only those whose effects may unreasonably restrict or harm competition. In addition, the Competition Law expressly provides that the following business combinations shall not be deemed prohibited economic concentrations: joint ventures formed for a definite period of time to carry out a particular project, which is also contemplated in other jurisdictions; economic concentrations among competitors that do not have harmful effects on competition and the market; and economic concentrations involving an economic agent that is insolvent, if certain conditions are met, which is, roughly speaking, equivalent to the failing company exemption prevalent in other jurisdictions. If advance verification for the economic concentration is sought and approved, the economic concentration cannot be subsequently challenged. If no advanced verification is sought and the transaction has been consummated, the Competition Authority may file a lawsuit with a specialised superior court within three years of the transaction's effective date if it considers the economic concentration to unreasonably restrict or harm free competition, seeking that conditions be imposed on the parties to ensure competitiveness in the marketplace, or seeking a partial or complete divestiture of the concentration (or both). Panama's economy is expected to grow at a moderate and sustainable rate, despite the perceived reputational damage to the financial and legal services industries. On this matter, the government has countered these issues by cooperating and aligning with international standards, thus making firm commitments to creating a more transparent environment for foreign investors. For example, the government has committed to adopt data-sharing arrangements consistent with US FATCA and the OECD's Common Reporting Standards, and has implemented several strict anti-money laundering regulations applicable to both the financial and non-financial sectors. Multinational corporations, regional conglomerates and private equity firms continue to seek and take advantage of the country's unique geographical position, its free market system and investor-friendly climate, which will cause the prevalence of cross-border M&A in Panama to increase. A recently adopted bankruptcy law (similar to Chapter 11 under the US federal bankruptcy laws) is also likely to spark interest in distressed assets and companies. Undoubtedly, Panama will remain in the spotlight for foreign investors, and the body of legislation governing M&A in Panama will continue to evolve as cross-border transactions become more complex. 1 Andrés N Rubinoff is a partner at Arias, Fábrega & Fábrega. The information contained in this chapter is correct as at August 2017. 9 www.estrategiaynegocios.net/lasclavesdeldia/1038889-330/hay-134-sedes-de-empresas-multinacionales-en-panam per centC3 per centA1.